Far Too Loud, Calvertron, Excision & Far Too Loud, Ftampa, Dirtyphonics and more. Huge thanks to Royal One Records for having me be a part of this mix series. On behalf of Royal One Records, we would like to extend this brand new mix as a free download to show thanks and gratitude for all the support you have shown over the years. 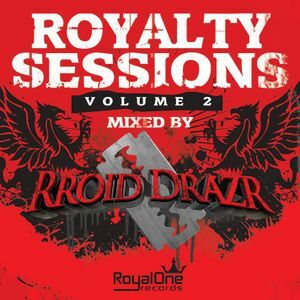 This mix includes 40 different tracks from many Royal One Records artist, including Darth & Vader, Revolver, Ftampa, Calvertron, RROID DRAZR, BBK, Ennovi, along with many other great Electronic Artist. We hope you enjoy! For a full list of artist on this mix & official Tracklisting, please look below! Much Love!